Hatching eggs available $25 per egg. When ordering Ayam Cemain eggs you must agree that you understand Fibro Melanism. Absolutely mesmerizing sums up the description of this magnificent bird. The Ayam Cemani is one of the rarest breeds of poultry in the US. This ink black bird originates from the jungles of Indonesia﻿ where it's black meat is thought to have mystical powers. Yes I said black meat. The comb is black, the skin is black, the bones are black and the meat is black. 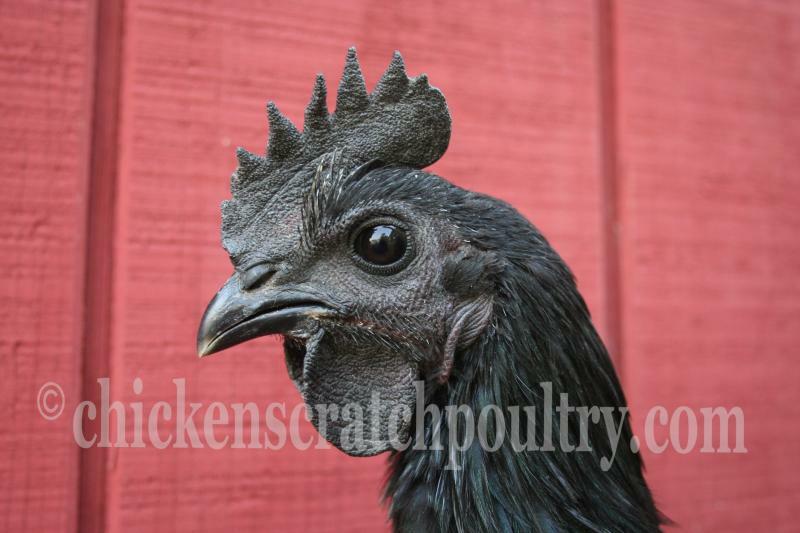 The Ayam Cemani are very hardy, easy to handle and low maintenance﻿. 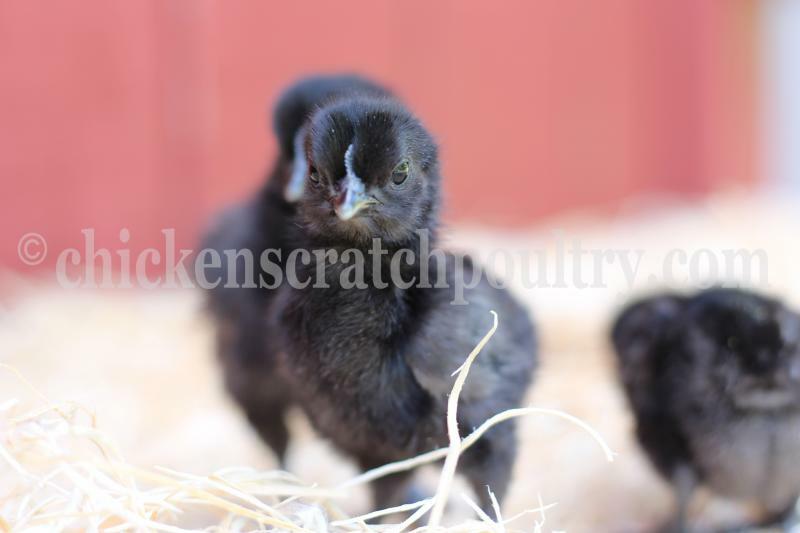 The chicks are very strong, active, sturdy little guys. 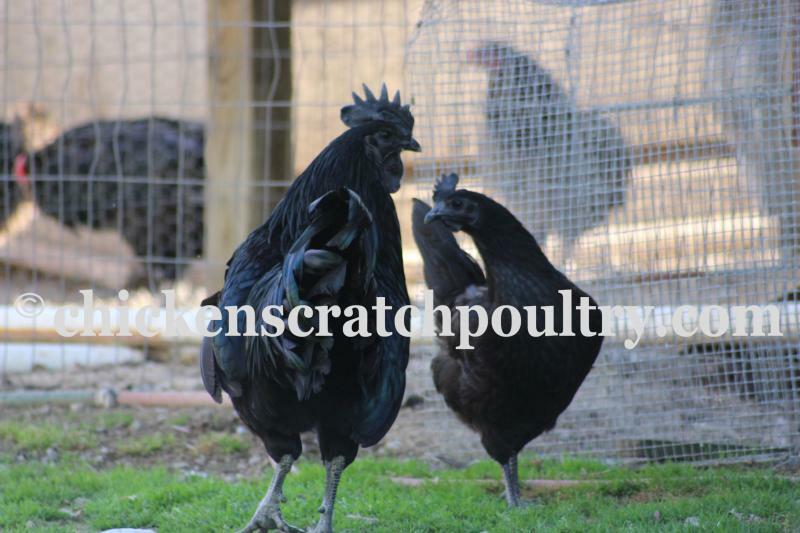 This breed is very easily tamed to be a friendly back yard chicken. The Ayam Cemani are great free rangers and absolutely stunning to see roaming around your yard. The roosters dance and strut from the moment you let them out of the coop until you shut them back up. The hens are really good layers, I was actually very surprised at what good layers they are. They lay a cream colored egg, not a black egg, darn it. Our hens laid all winter long, which was also a nice surprise. They also lay a rather large egg for the size of this bird. 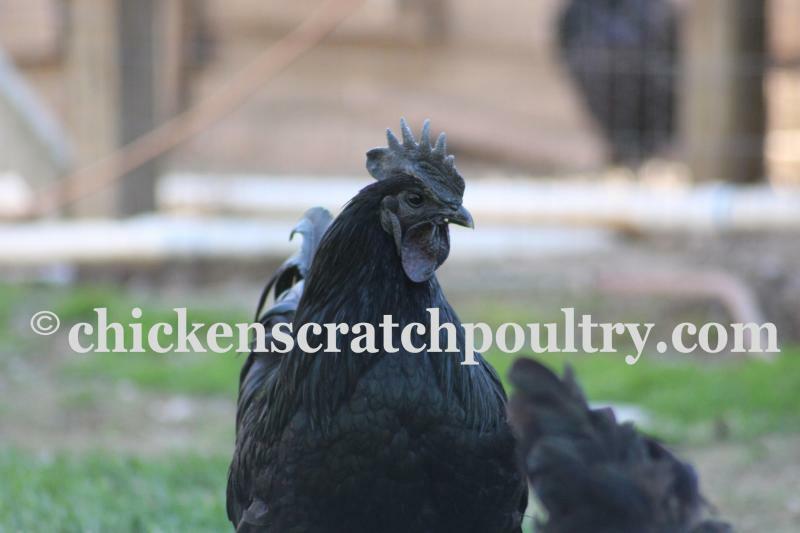 The Ayam Cemani breed is for the true poultry enthusiasts, if you like eye candy in your yard this is the bird for you. 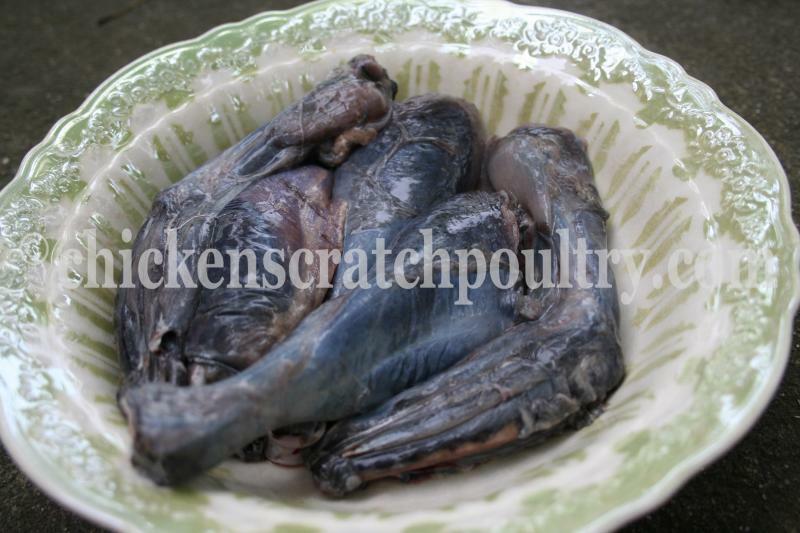 This is NOT get rich quick poultry, this is a breeding project, do your home work before you purchase this bird. You must have an understanding of the Fibro gene. We only use the blackest birds possible in our breeding pens but we can not guarantee the distribution of black pigment in their off spring. Our birds are the Greenfire Farms line, we have a receipt and NPIP information from their farm for proof of origin. 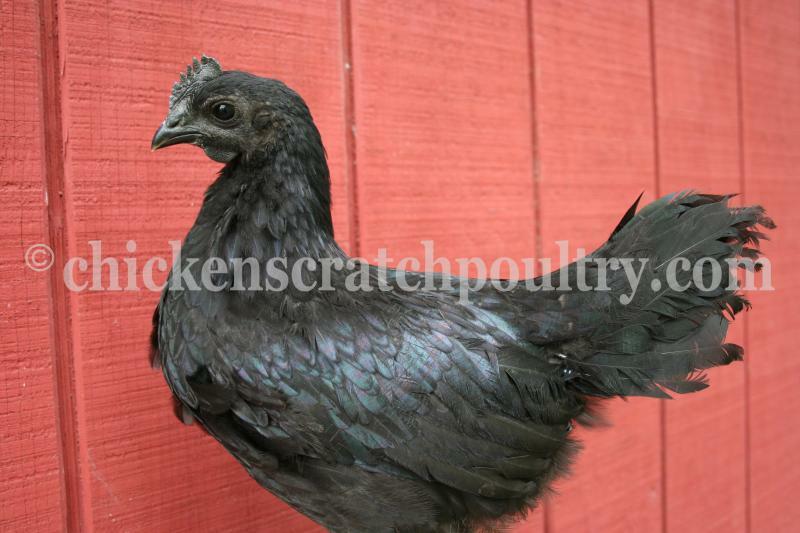 If a breeder can not provide proof of origin for their Cemani, buyer beware! The hens are just as stunning as the roosters, with their ink black feathering and that beatle bug green and purple shine.